Have you been arrested in Lake Whales for dui? Are you searching for the best dui attorney Lake Whales has to offer in order to fight the arrest? At the law office of Finebloom, Haenel & Higgins we are proud to offer the highest quality dui attorneys available. When speaking with your dui lawyer you should also make sure they are willing to represent you at all administrative hearings relating to your driver’s license. Those hearings are separate from the criminal court process but are just as important for keeping your driving privilege. It could be that you are searching for a dui attorney in Lake Whales to help you in get the best deal. Not everyone can successfully challenge a dui charge. But when you hire a dui lawyer LakeWhales officials know they can not take advantage of you in sentencing. Although not mandatory, a judge at his or her discretion, may also sentence you to six months in the county jail (nine if you blew over a .15). If this is a fourth (or more) dui conviction then you face five years in prison, you will have your driver’s license revoked for life and you will be labeled a convicted felon. This means you lose your right to hold certain professional licenses and civil liberties such as the right to vote and carry a firearm. Dui penalties are very serious. To try to avoid them you need a Lake Whales dui attorney who is just as serious about defending you! At Finebloom, Haenel & Higgins we have dui lawyers dedicated to dui defense. We will not rest until we achieve the best outcome for your situation. To discuss your options call us now at 1-800-FIGHT-IT. 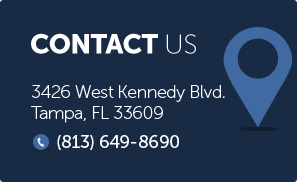 Our dui team is available 24/7 for consultation. Let us help protect you and your rights today!